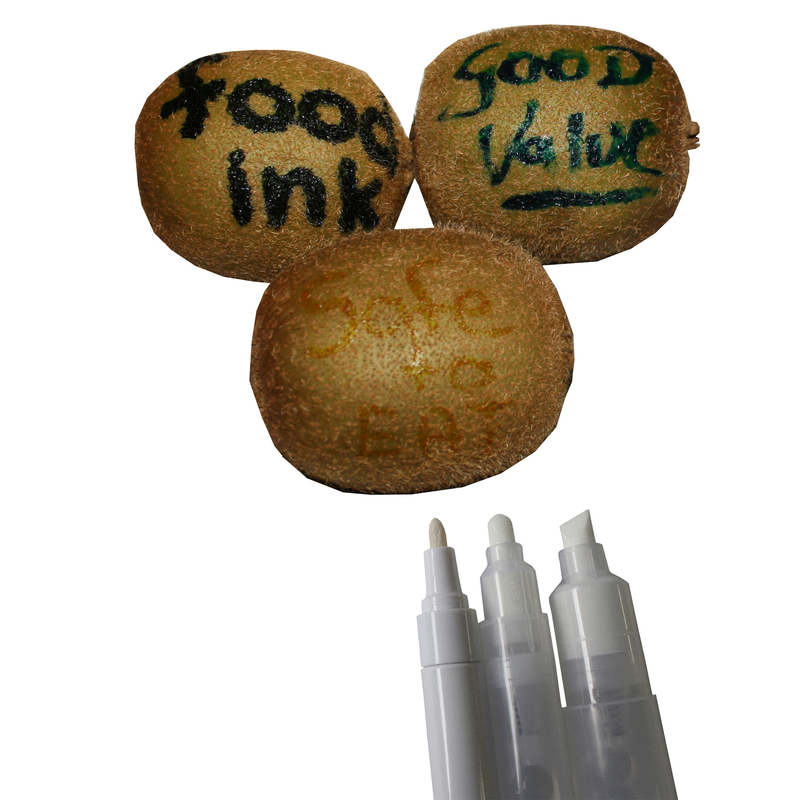 Refillable, reusable and convenient empty pump markers with three different sizes available for filling with our edible ink. Writes well on food and porous surfaces, ideal for any situation where you need quick, non-toxic and food safe writing. White aluminium body, lid, cap and mixing ball. Refills by removing the top lid, unscrewing the plastic around the nib, and pulling the nib section out from the rubber seal. Clear hard plastic body with top white cap and bottom clear refill cap, contains one mixing ball.